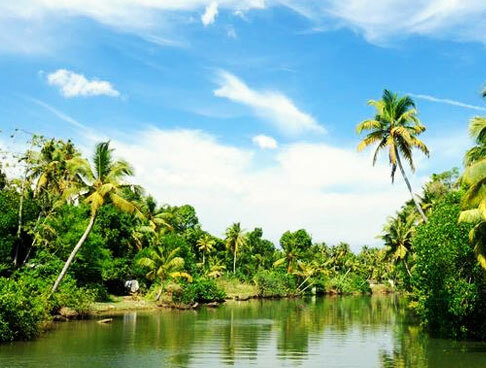 Backwaters are known to be the backbone of Kerala tourism and the best way to explore the serene Kerala backwaters is by going aboard a luxury backwater cruise that covers the length and breadth of lakes, canals and palm-fringed backwaters. 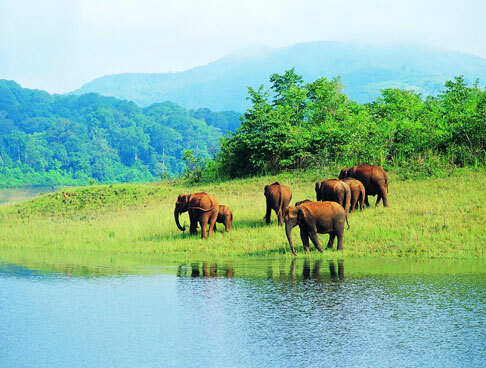 During this well-planned itinerary of 4 days and 3 nights, you enjoy world-class comforts on-board Luxury Motor Vessel the Oberoi Vrinda and enjoy the best of sights and sounds of Alleppey (Alappuzha)- the hub of backwaters of Kerala, Kumarakom and other nearby destinations. 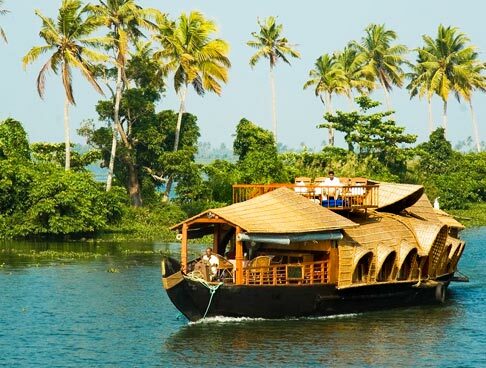 This luxury houseboat cruise offers modern amenities, wonderfully-equipped cabins, and sumptuous Indian and World fares. 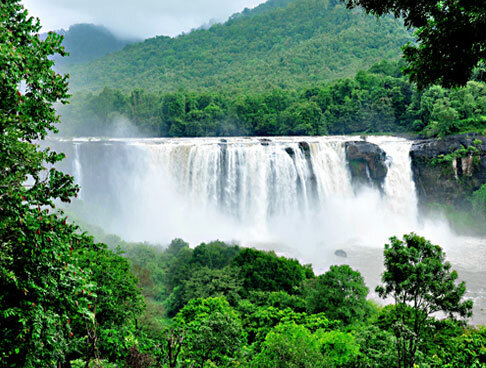 Arrival at Cochin/Thiruvananthapuram airport, meet our tour representative who offers you an assisted transfer to the lovely Kumarakom town- at Lake Vembanad. You go aboard The Oberoi Vessel Vrinda. After all the formalities and paperwork, the luxury cruise starts traversing through the placid canals on the Vembanad Lake. Savor sumptuous food on-board prepared by the expert chef and his team. Enjoy the memorable sunset view from the cruise. Thereafter, the evening is scheduled for an impressive Kathakali dance performance, depicting the events and tales grand the 2 great Hindi epics, Ramayana and Mahabharata. The vessel is anchored at the Vembanad Lake jetty. Day 2 starts early. At 07:00 AM, the Luxury Motor Vessel Vrinda starts sailing in the southern direction towards Alleppy, now known as Alappuzha. Sumptuous delicacies are served on-board during breakfast. After cruising for a few hours, the cruise enters the creek of the Pamba River through Alleppy canal and is anchored near Kanjipadam. Disembark from the vessel and get all set to ride a traditional rice boat for cruising through the narrow sections of the backwaters. Sail for a few hours and enjoy various sites such as kid’s playing, colorful birds flying, lush greenery, locals indulged in their daily activities and more. 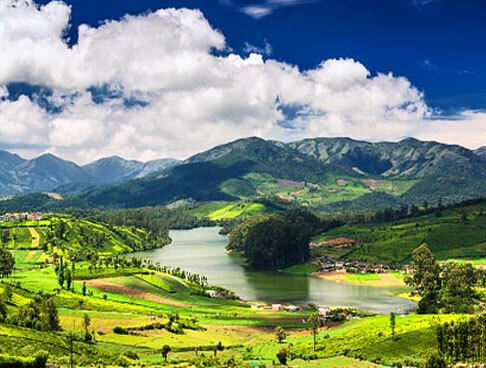 You are accompanies by a guide while visiting a traditional Keralite household and the black-colored half-statue of Lord Buddha. Enjoy your lunch, on the way while the boat passing along the Alleppey backwaters. Back to the vessel that is anchored at the Vembanad Lake jetty. The day starts at around 07:00 AM, Vrinda motor vessel starts sailing southward, crossing Kanjippadam. The vessel is anchored near Chambakulam. From here, board a rice boat for sightseeing before lunch. 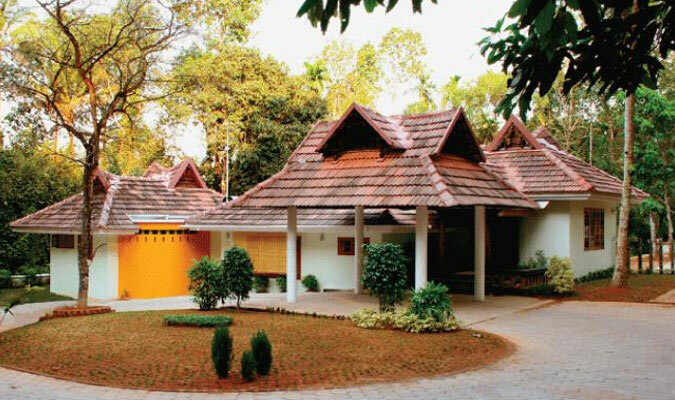 De-board to visit St. Mary’s Church and Sree Bhagavathy Kshetram at Nedumudy. 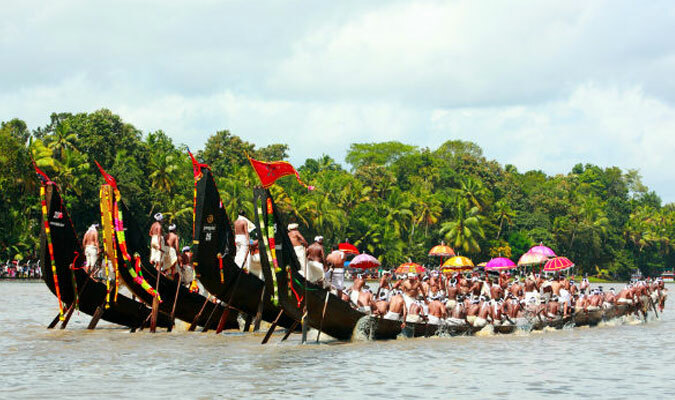 Later on, enjoy a guided trip to Chambakulam snake boat yard where you see long snake boats that used at the time of boat race festivals in the state. 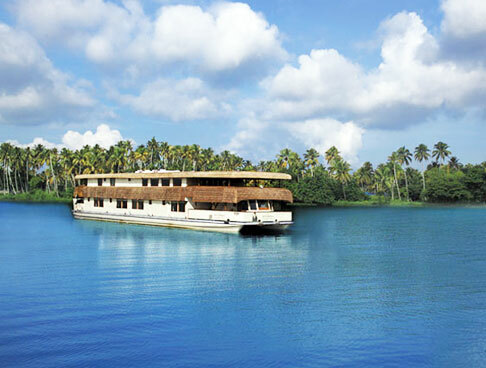 Your cruise sails back to the Vembanad Lake in the afternoon. 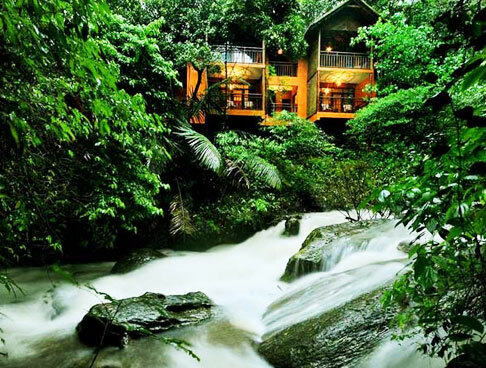 Rest for some time in your luxury cabins. 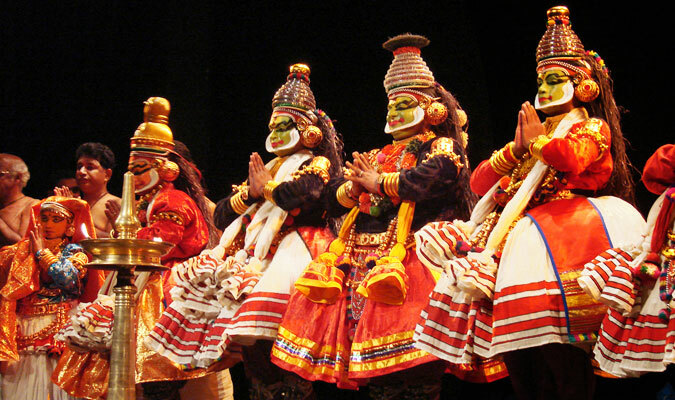 The evening is scheduled for enjoying a traditional Mohiniattam dance performance on- board. Dinner and overnight stay on- board Oberoi Vrinda. 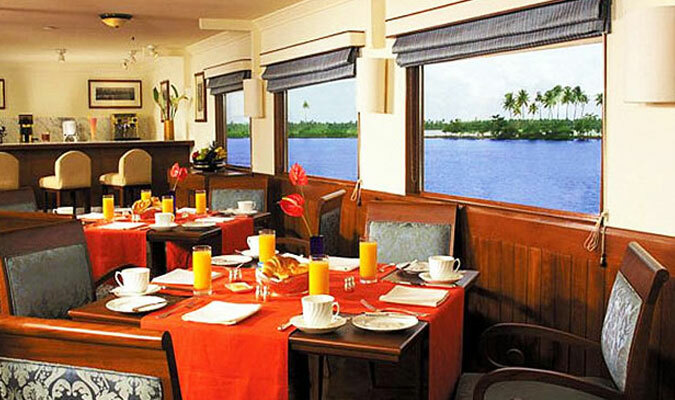 On the last day of the tour, relish a lavish breakfast while treating your eyes to the mesmerizing views of the surroundings while the vessel is sailing northwards along the main waterway channel on the fascinating Lake Vembanad. Thereafter, the vessel heads southwards, after crossing Pallathurathy. On arriving at the jettey of Vembanad Lake, disembark from the cruise. Get assisted transfer to the Cochin airport to board a flight for your onward journey.